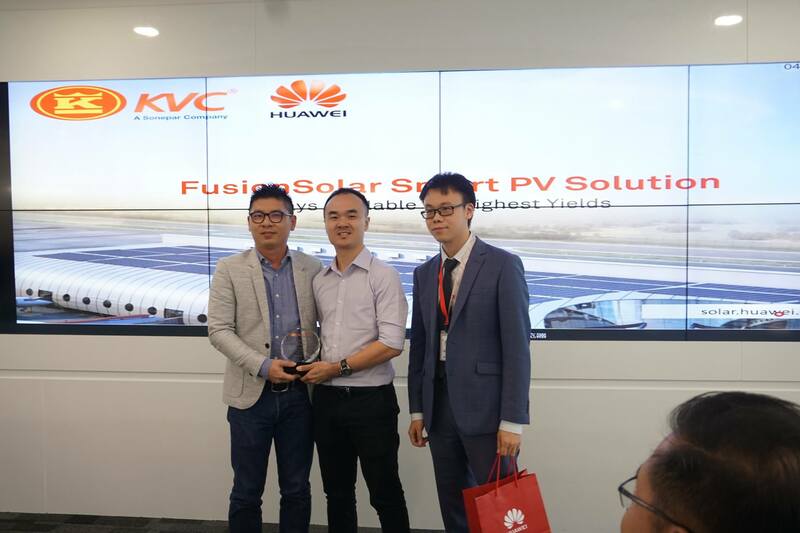 Home News Huawei-KVC Solar PV Workshop! We are proud to be the only one speaker that representing Solar Photovoltaic (PV) Industry in Malaysia at Huawei-KVC Solar PV Workshop! Leading the change and technically focused has always been +SOLAR’s value which is what connects us with Huawei. We aimed to bring more innovative technologies for you to heightened up your business. By sharing our experience and insights to other industrial players who attended the workshop, we hope it would provide more choices and solutions to you in your energy revolution journey. Let’s work hard together in hope of achieving our mutual mission – for you, for a better world.